Hope everyone had a great long weekend. Always nice when Sunday gets a "Continue." It's slim pickens for new releases this week, but there is one shining light of co-op hope. Today marks the release of Hunted: The Demon's Forge. We'll have a Co-Op review posted for your reading pleasure as soon as possible. 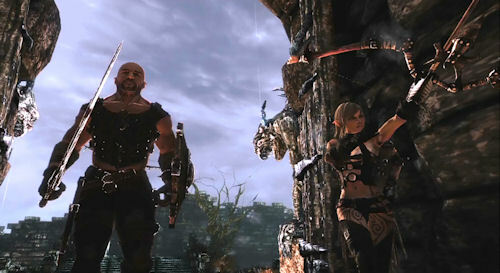 The game will support 2 player local split screen or 2 player online co-op. Read on to see the other weekly releases. Once again, if we are missing a game, please, leave a comment mentioning it. Maybe someone will see it and enjoy it.